The LAFD provides a robust multi-tier emergency services response to hazardous materials incidents. 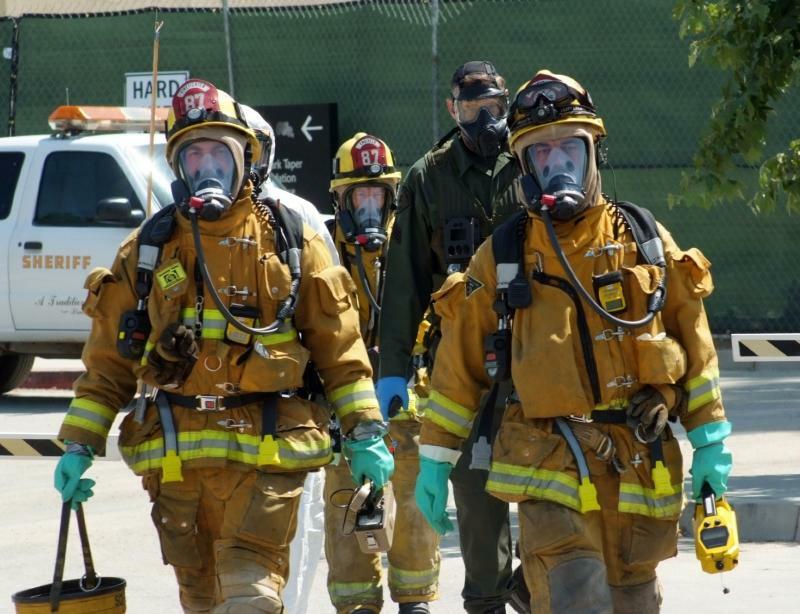 Each sworn LAFD position is trained to exceed Haz Mat First Responder Operations (FRO) competencies. Additional training, equipment and procedures include mass and emergency decontamination, Rapid Extraction (rescue in a hazardous environment), Weapons of Mass Destruction procedures and Emergency Medical Services protocols (containment and treatment, for example, infectious diseases). The LAFD is the City’s key agency in hazardous materials emergencies. The LAFD Haz Mat Program utilizes a unified approach with allied agencies and many stakeholders to provide preparedness, prevention, response, mitigation and resiliency to hazardous materials emergencies. Fire Station 95 (flex - Haz Mat Squad) – Los Angeles World Airport (LAX). Each HMTF is staffed with certified Haz Mat Technicians for strategic/tactical offensive operations in hazard identification, technical advising, entry into hazardous atmospheres, specialized mitigation and technical decontamination. In addition, the LAFD has SIX fire stations trained and equipped to provide technical decontamination to increase resource management and civilian protection. Our Haz Mat Program has been a long-time pioneer in the nation’s hazardous materials emergency discipline. This includes many innovative solutions in training, operations and equipment. For example, the CBRNE Unit (office hours/on-call) is housed at the Los Angeles Police Department’s Hazardous Devices, with the Bomb Squad. Together they comprise the Joint Hazard Assessment Team (JHAT) - LAFD and PD officers specially trained and equipped for multi-hazard and complex haz mat incidents. One of the key successes of this technological advanced, multi –discipline team of specialists is an exploratory (research & development) platform for special operations, creating and training new solutions and raising standards for the nation’s first responders and the community’s protection.